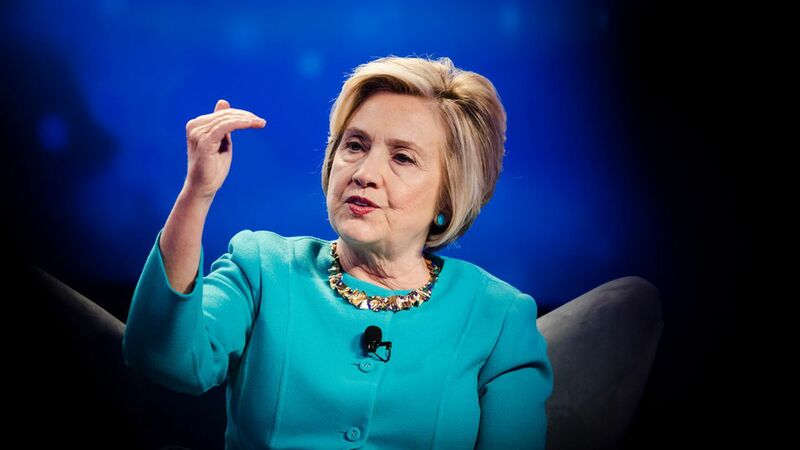 Hillary Clinton still questions the legitimacy of the 2016 presidential election results, especially given Russia's interference, and thinks an independent commission is needed to get to the bottom of it. In an interview with Mother Jones' Ari Berman, Clinton said the result of Moscow's meddling "wasn't just influencing voters, it was determining the outcome." Get smart: American intelligence agencies, including the CIA, NSA, FBI and the ODNI (Office of the Director of National Intelligence) have all agreed that Russia actively worked to tilt the election in favor of Donald Trump. However, it's still unclear whether their efforts impacted the results. The other side: Last week, Trump told reporters on Air Force One that he believes Vladimir Putin's denials about election meddling, and said he is reluctant to press him further so that the U.S. and Russia can work together on other issues like North Korea and Syria. Clinton told Berman that those comments reveal Trump is still operating as Putin's "puppet": "I can't believe that he's so naïve. I think that he hopes or expects the rest of us to be naïve, or at least the people who support him to be naïve," she said. "But this is a serious cyberattack on America." "If we don't figure out what they did to us and take adequate steps to prevent it, they're only going to get better," Clinton later added. "This is the first time we've ever been attacked by a foreign adversary and then they suffer no real consequences."